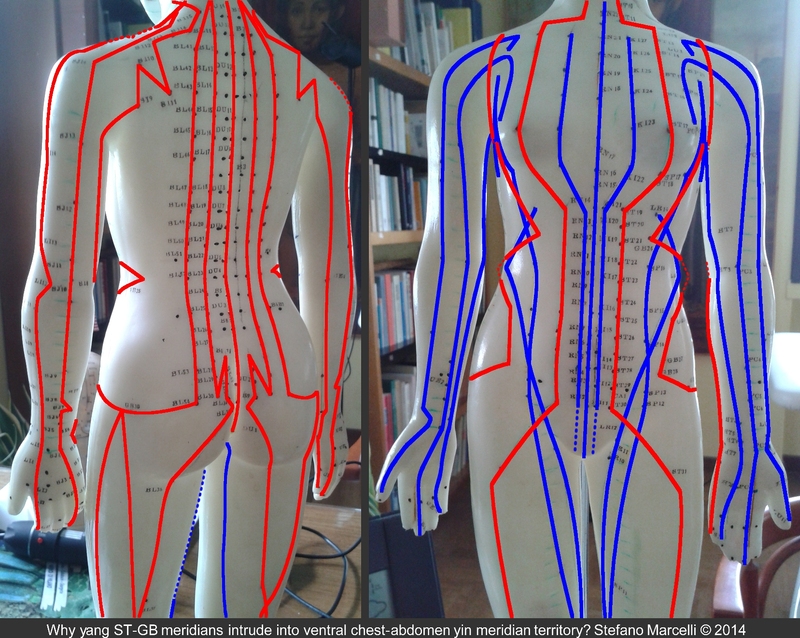 Crucial questions about the acupuncture meridian system that anatomical comparative approach succeeded to answer according to scientific method's fundamental premise: meticulous observation. ● Why acupuncture should give science clear evidences? 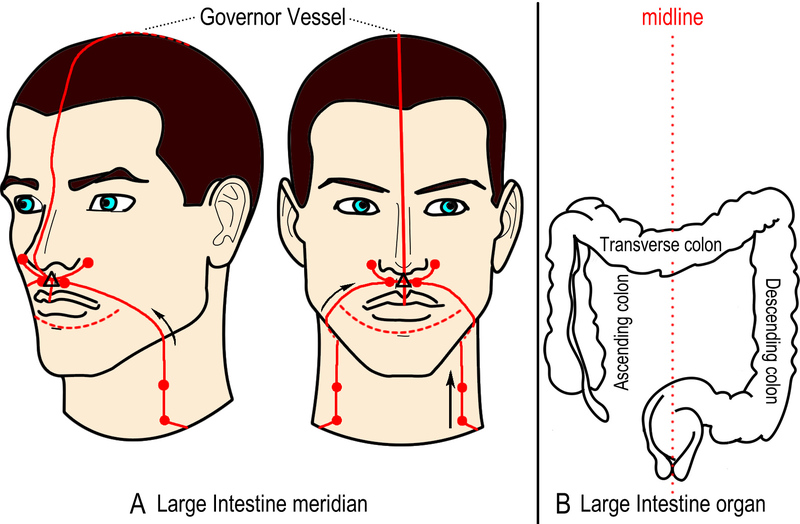 ● Why right and left branches of the large intestine meridian cross each other on the midline, unique exception over 12 main meridians? 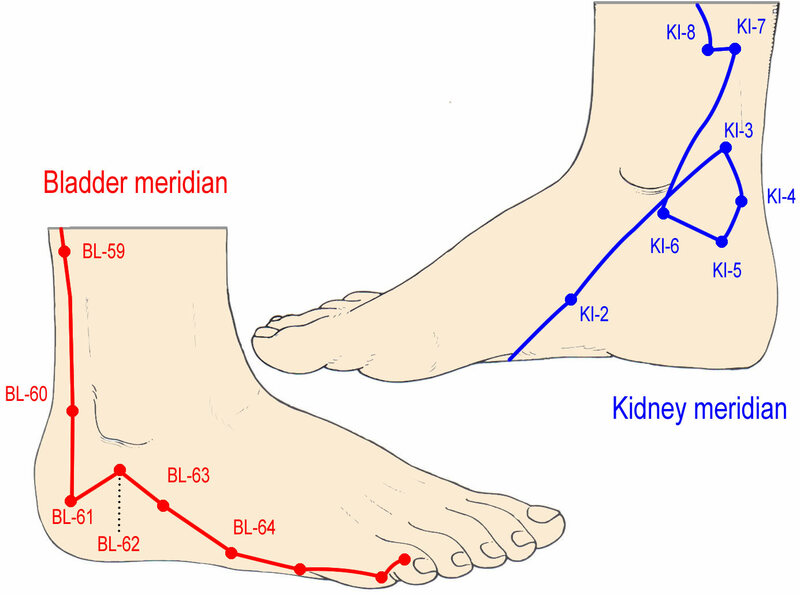 ● Why the kidney meridian path forms a circle on the medial aspect of the foot, whereas the bladder meridian does not the same on the lateral aspect? 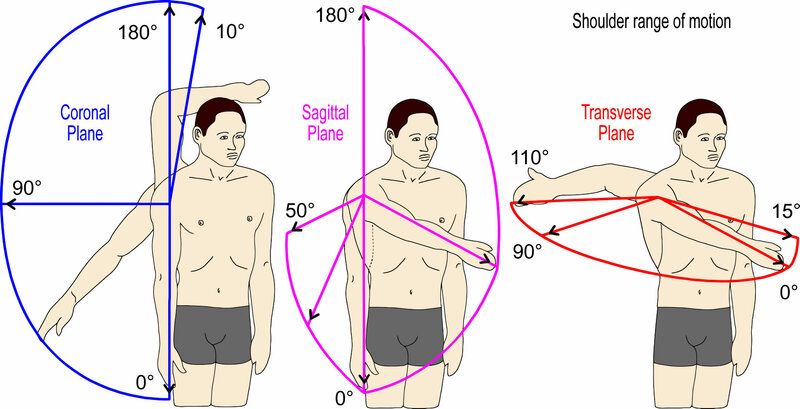 ● Why the small intestine meridian draws a zig-zag in the shoulder, scapular area? ● Why amongst the back-shu points is listed Dushu (BL-16), referring to Governor Vessel, even though TCM does not connect it to a specific organ? Is there a plausible explanation for why it finds just between Xinshu (Heart point) and Geshu (Diaphragm point) and not elsewhere? If it is an organ, which could it be? Is there in the body a "Governor organ"? According to comparative approach the answer is yes, there is! ● Why the stomach and gall bladder meridians that are of yang nature run down the anterior aspect of chest-abdomen like intruders into a yin meridian territory? Why differently the back is covered by yang meridians only? ● Why at least one fourth of the dorsal, lateral and yang aspect of the foot is occupied by the liver meridian that is a yin meridian? ● Why most of acupuncture meridians start or end to a jing point at a finger/toe nail-corner, and that of the pericardium ends to the tip of the middle finger? ● Why the sole of the foot is exclusively controlled by the kidney yin meridian? ● Why in arms and hands the acupuncture meridians are arranged in such ordered, always parallel paths, with the three yin and three yang that cover the ventral and dorsal aspect, never touching each other? On the contrary, Why on the medial side of legs and foots the kidney meridian (as seen above) draws a loop and little more above the three yin meridian run so close each other and nearly touch at the spleen point SP-6? ● Why Traditional Chinese Medicine privileged pericardium rather than pleura or peritoneum and assigned the rank of main organ and meridian to it? What is the veritable organ/function - imho unknown to modern medicine - that the ancient Chinese wanted to point out by giving it the name "pericardium"? ● Why head surface is covered by yang meridians exclusively, and head organs (brain, tongue, eyes, ears etc.) by yin meridians? Before leaving this page take a look at the table of contents of this revolutionary approach. Ask Dr. Marcelli stefanomarcelli@tiscali.it a question about particular features of the Acupuncture Meridian System that are not listed here, so that he can try to give an answer according to the comparative approach, and by the means of scientific method. Or - much better - you are invited to communicate your own answered questions, which will be published and credited in this site and in possible scientific papers. Science means sharing and progress of knowledge. Before I applied the scientific method to acupuncture research, there were no new acquisitions in the knowledge about the Acupuncture Meridian System since thousands years, so it was officially dead and generated comprehensible rejection by rational minds, differently from TCM herbology, which has already incorporated plenty of new acquisitions from modern chemistry, biochemistry, pharmacology and toxicology.